For the Table of Contents, the font size is readable. The light colored page numbers are acceptable (because they are larger than in the List of Resources), but a darker font would be better. While the font is smaller than in Table of contents, the words are still readable. However, with the colored numbers for the page references being smaller than in Table of Contents, this becomes harder to read. The bleed-through is noticeable (not as distracting as this photo suggests), but bleed-through does affect the colored numbers and readability. The List of Resources includes: Articles, Definitions, Maps, Figures, and Artists’ Reconstructions. As expected each of these maps are tied to the Biblical text so that each is easier to find. Timelines are essential for understanding and teaching Biblical texts. 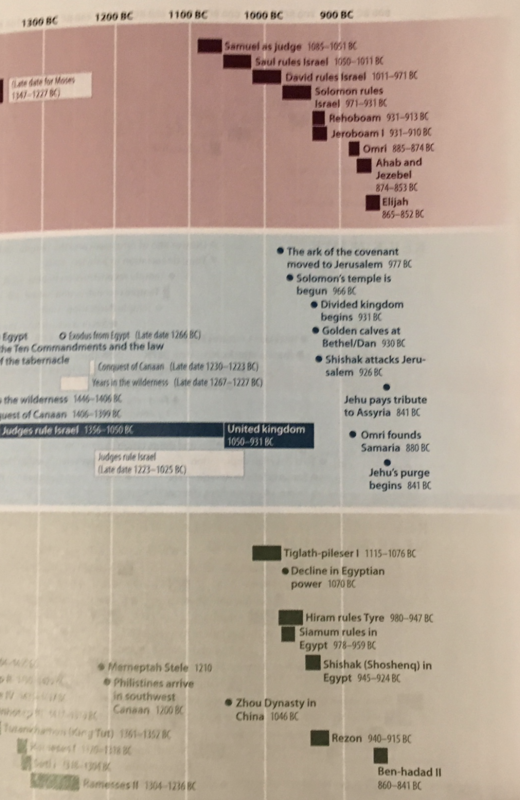 For the Old Testament Timeline the three fold colors helps to distinguish Key People, Key Events, and Key People (elsewhere in the world), which means the reader can follow chronologically each of them individually or comparatively. Interestingly for the New Testament Timeline only two parallel timelines are used (Key New Testament Bible Events and Key People/Events from the Mediterranean World). 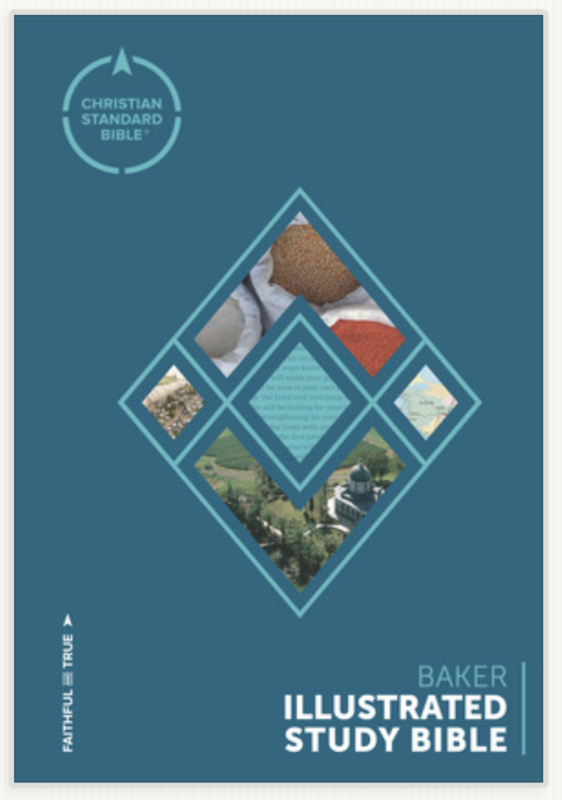 The guidelines here are fairly basic, but helpful for casual or first time users. 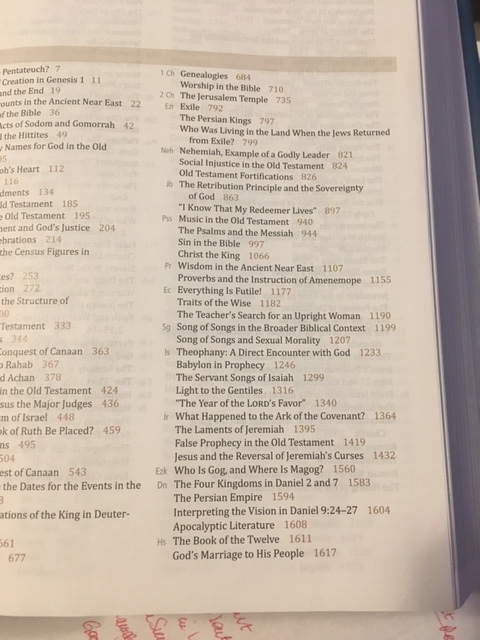 Overall, this looks to be a helpful Study Bible. In coming weeks I will review some of the Book Introductions and some of articles scattered throughout the Bible.